In 2000, Altrusa Richardson adopted Terrace Elementary School, a RISD elementary school with a diverse population of nationalities represented in the student population. 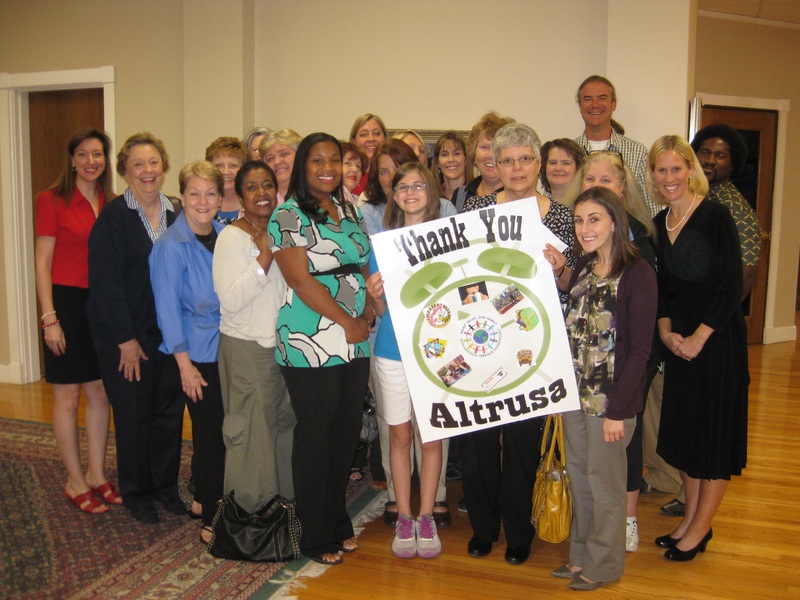 A large vinyl banner with the Altrusa logo and club name is prominently displayed outside on the front of the school. We provide hands-on service and assistance, as needed, throughout the school year. Services vary from year to year, but we respond when asked to provide assistance. Backpacks. The creation and maintenance of 13 backpacks for Pre-K children to check out and take home to work with for a one week period. The activities had to be interactive and creative to keep the interest of 4 and 5 year old children. And, we knew the parents needed simple instructions included with each backpack to guide them as they worked with their children. Each backpack contains subject-relevant books, games, activity sheets, crayons, paper, worksheets, or other supplies needed to effectively teach vocabulary and other skills in the specific area. Subject areas included: Alphabet, Animals, Art and Music, Reading, Writing, Sorting and Colors, Shapes and Patterns, Opposites, Numbers, P.E, Nutrition, Read to Me, and Play With Me (games). Wednesday Club. 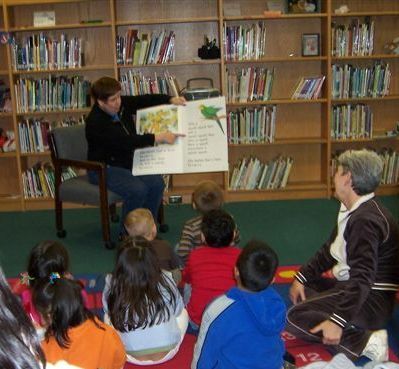 A weekly enrichment program for approximately eight able kindergarten students. The children literally dance with excitement each week. All activities were hands-on, and each session endswith a poem and a “pass word” (vocabulary word) from the poem for admittance to next week’s session. Altrusa provides books to be used in the Book Nook distribution at Terrace Parents Expo, and during Altrusa programs at Terrace. The books arecollected and distributed by members of the Book Nook Breakfast Club. Members gather at the Half Price Books Warehouse on Saturdays at 7:30 A.M, wait\until the warehouse opened at 9:00, grab madly for the books then count, haul, sort and deliver them. Manners Party - Annual Good Manners Parties celebrate the good manners the children learn during Pre-K. Children are treated to a fully decorated party table, ice cream sundaes, and fruit. Children exchange Altrusa-provided books which they havechosen and wrapped for each other as gifts. Teddy Bear Time Our classic model to parent reading program for Pre-K.
Read to Me Time An offshoot of Teddy Bear Time for Kindergarten children, this program used new books purchased at the Scholastic half-price sale. “centers” in Pre-K. Altrusans work directly with the children, teaming with the teacher. A new program this year will be a letter/craft exchange program with a fourth grade Terrace class and a class in Haiti. The Elementary Education committee is working with the International Committee to set up this program. Another new program, warmly welcomed by the Terrace staff has been the establishment of the Teacher Store. Altrusans generously collected school supplies from a list established by the Terrace principal and from the sale lists of various stores. All supplies will be used by Terrace teachers for the benefit of their students. And then, of course, Altrusans are there at Terrace on the first day of school, and to judge the Science Fair, the Invention Convention, to participate in the Parent Expo, and wherever else we are needed.